Real Deal Retirement » Blog Archive » How Should I Invest My Nest Egg For Maximum Retirement Income? You’ve got a number of conflicting wants and needs that you’d do well to sort out if you hope to come up with a sensible plan to convert your nest egg into income that can support you the rest of your life. You say, for example, that you want “the maximum income possible,” yet you seem bent on ruling out stocks and bonds, investments that, in combination, have a solid record of being able to deliver the size returns you need to generate a high level of income for the long term. You also express concern about the value of your savings dropping during market downturns. That’s understandable. No one enjoys seeing his nest egg take a hit, especially the gut punch of a severe bear market. But this aversion to seeing even a temporary decline is incompatible with your desire for maximum income. The more you dampen up-and-down swings in the value of your retirement portfolio, the more you reduce your return potential, which makes it tougher to get the higher retirement income you seek. You can’t have it both ways, a shot at maximum income and total stability. Finally, you say you want this income to last for life. But you then seem to suggest that annuities—a type of investment specifically designed to create a payout you can’t outlive—are a no-go. I agree that annuities can be difficult, sometimes almost impossible, to understand. 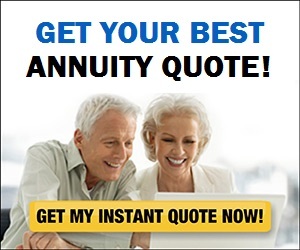 And I don’t want to suggest that you must own an annuity. Still, if you really want retirement income you can count on for the rest of your life, I think it’s at least worth considering whether an annuity might make sense in your situation. All of which is to say that I think you need to consider setting a more realistic goal when it comes to retirement income—namely, creating a plan that can get you a reasonable amount of sustainable income given your resources, while limiting volatility to a manageable level rather than trying to do away with it altogether. The first step toward creating such a plan is to get a handle on how much income you’ll need to cover your retirement expenses. You can do that by going to an online budgeting tool like BlackRock’s Retirement Expense Worksheet, which has room for you to enter dozens of retirement expenses ranging from essential outlays for housing, food, health care and transportation to more discretionary expenditures for travel, entertainment and charitable donations. Once you’ve toted up your expenses, you can then see how much of those costs you’ll be able to pay for with assured income from sources like Social Security and any pensions. If you haven’t already begun drawing Social Security, you can see what size monthly check you might receive by going to the Social Security Administration’s Retirement Estimator tool. More likely than not, there will be a gap—i.e., your expenses will exceed the amount you’ll collect from Social Security and any pensions. The simplest way to fill that gap is to draw enough from savings each year to cover the expenses that Social Security and any pensions can’t. Question is, how do you do this without running through your savings to quickly? Start by being judicious about withdrawals. If you want your nest egg to last 30 or more years—a reasonable assumption given today’s long life spans—you should probably limit yourself to an initial withdrawal of no more than 3% to 4% of the value of your savings. You can then increase that amount each year by the inflation rate to maintain your purchasing power. So unless you’re willing to cut back on the amount you withdraw each year—or accept a higher risk of running out of money before you run out of time—you need the more generous returns that a diversified portfolio of stocks and bonds (or, more likely stock and bond funds) can deliver. That doesn’t mean you have to invest all, or even most, of your savings in stocks. As I’ve noted before, even a small dollop of stocks, as little as 30% or so, can provide enough return potential to substantially reduce the risk of outliving your savings compared with an all-cash equivalents portfolio. Which means you should have plenty of leeway for finding a mix of stocks and bonds that can get you the retirement income you need without subjecting your nest egg to wild swings in value. Up to this point, we’ve been talking probabilities of how long you might be able to draw a given amount of income from savings, not certainties. But there is a way to create income that’s guaranteed to last as long as you do: buy an annuity. Granted, annuities can be complex and confounding. 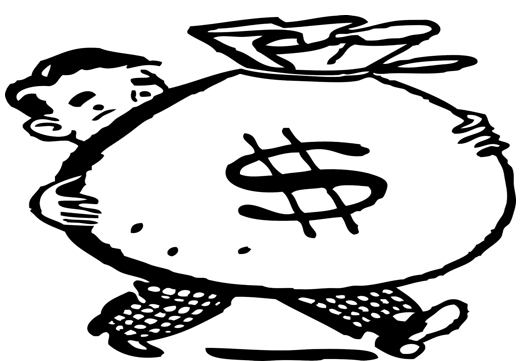 But there is one type that, relative to other annuities at least, is fairly easy to understand: an immediate annuity. But even this relatively straightforward annuity comes with conditions you need to understand, one of the most significant being that in return for guaranteed income for life you typically give up all or most access to the money you’ve invested. Which is one reason I think anyone who feels they might want more guaranteed income than Social Security alone will provide should consider this two-pronged strategy: Invest enough of your savings in an annuity so that the annuity’s payments along with income from Social Security and any pensions will cover all or most essential expenses; then invest the rest in an appropriate mix of stocks, bonds and cash you can draw on as needed to pay any additional expenses. If such a strategy appeals to you, be sure to check out these tips for choosing an annuity before committing to one. Walter Updegrave is the editor of RealDealRetirement.com. If you have a question you would like Walter to answer online, send it to walter@realdealretirement.com. You can tweet Walter at @RealDealRetire.